I was so excited when I found I would get to do a creative post for The Accidental Bad Girl! With such a bold cover, I knew I needed to feature it as a bookstagram photo! Maxine Kaplan was born in Washington, DC. She and her twin sister spent their early childhoods trotting behind their journalist parents as they traveled around the world, eventually settling in Brooklyn, NY. 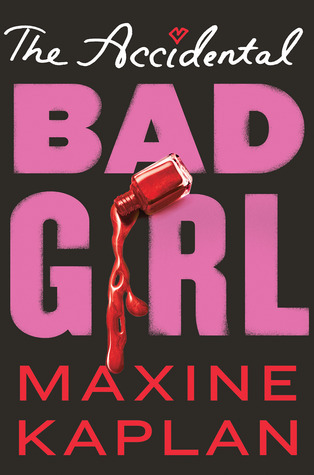 Maxine graduated from Oberlin College in 2007. Following a long stint in the world of publishing, she has worked as a private investigator since 2009. She lives in her adopted hometown of Brooklyn, NY, with her lovely husband and complex cat. THE ACCIDENTAL BAD GIRL is her debut novel.